A children’s Fox Set with pointed ears and padded tail. Brilliant fun for dressing up and perfect for Book Week! 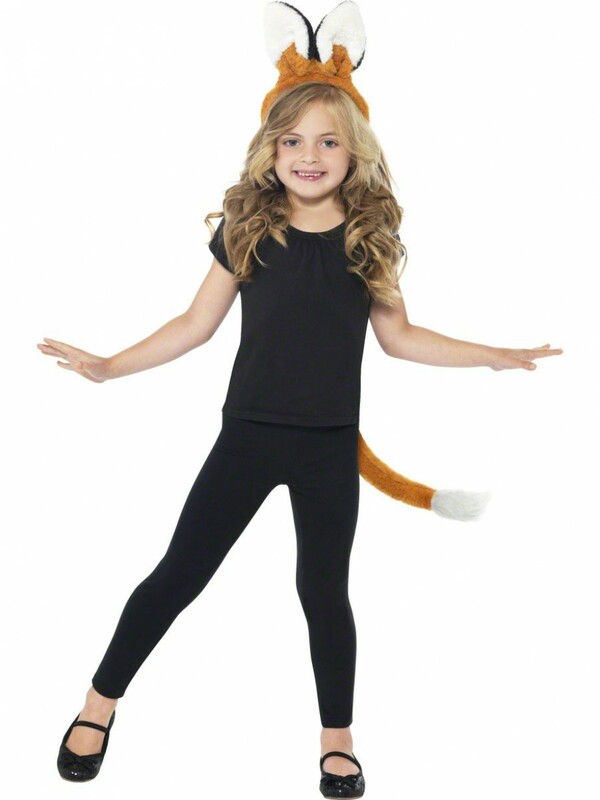 This fun set includes fox ears and tail in a classic red fox design. The ears are attached to a covered headband and have a fun pointed design with black and white tips. The matching padded tail has an elastic loop to fasten and perfectly completes this cute instant kit! An ideal set for Children’s Book Week or any fun dressing up occasion. Fox ears (on headband) and matching tail.